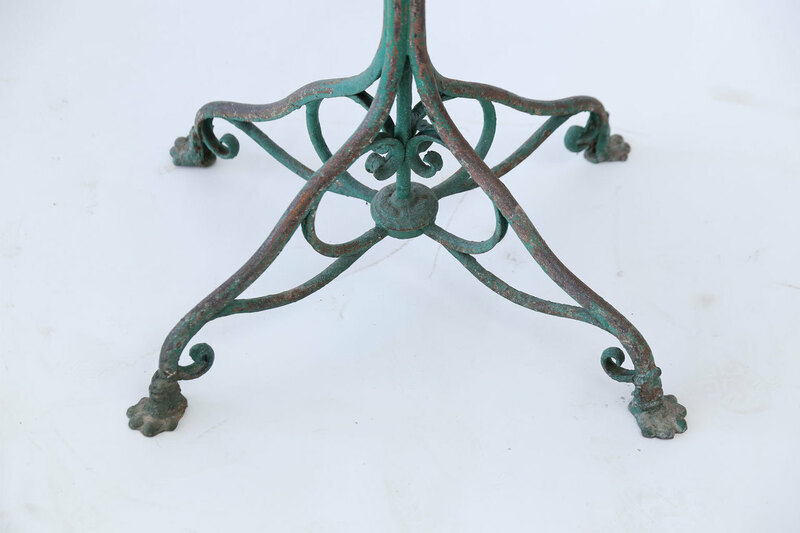 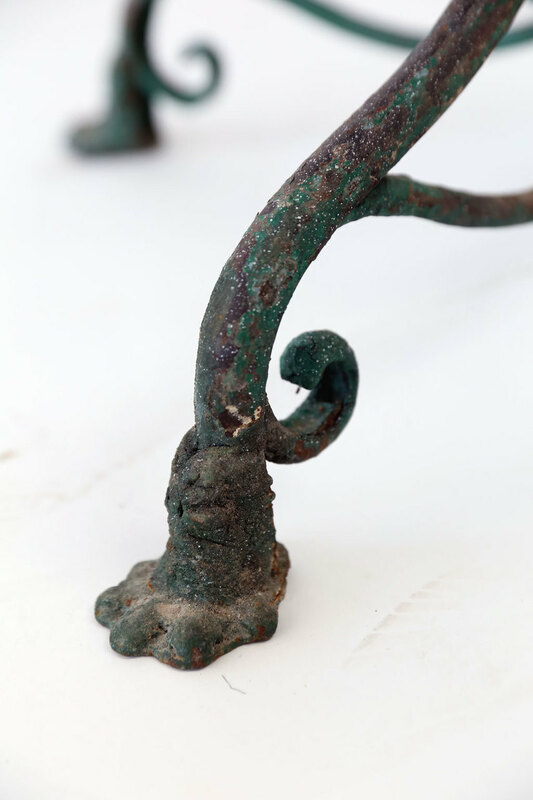 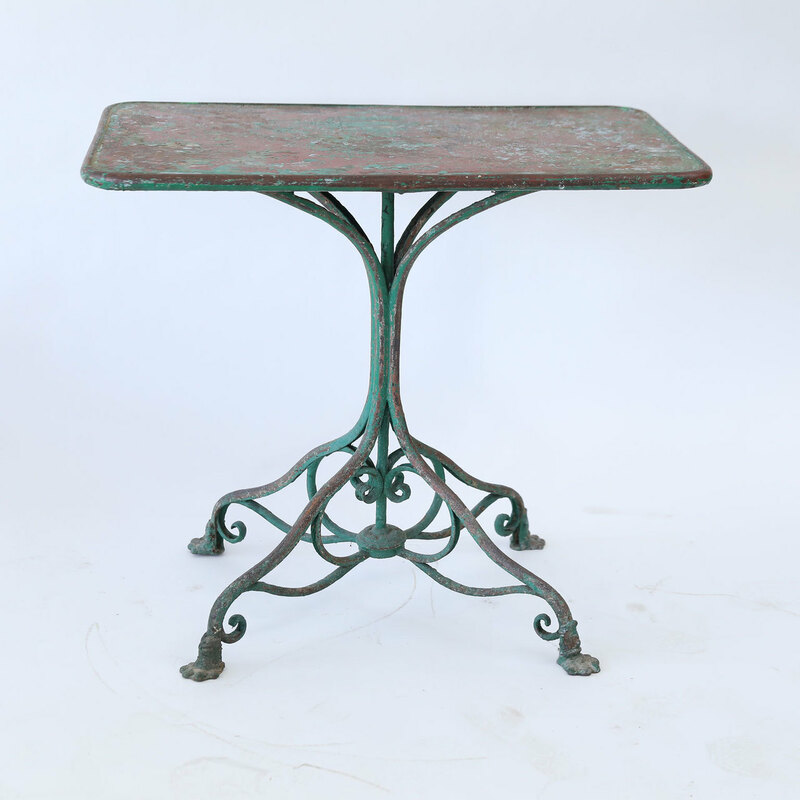 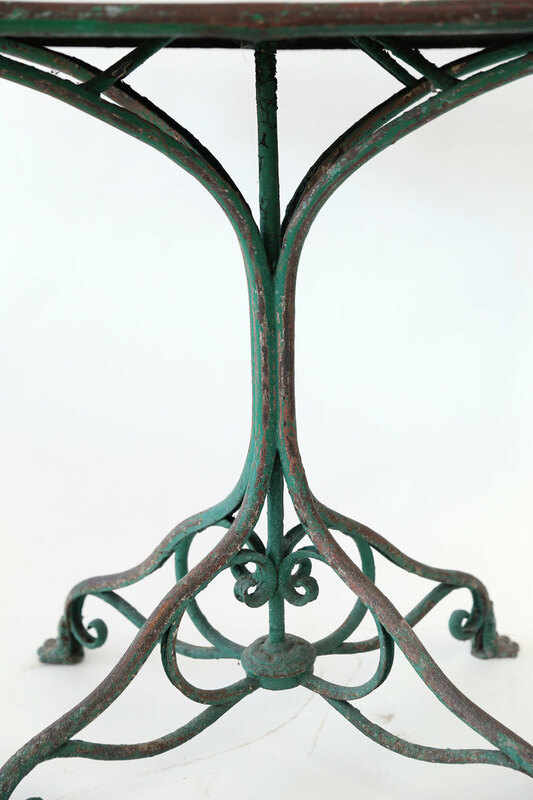 Arras Iron Garden Table (circa 1900-1920), rectangular top raised upon a slender pedestal comprised of four round iron bars that gracefully radiate out to form a quadriped base, decorated with scrolled iron embellishments and supported by four iron lion’s paw feet. 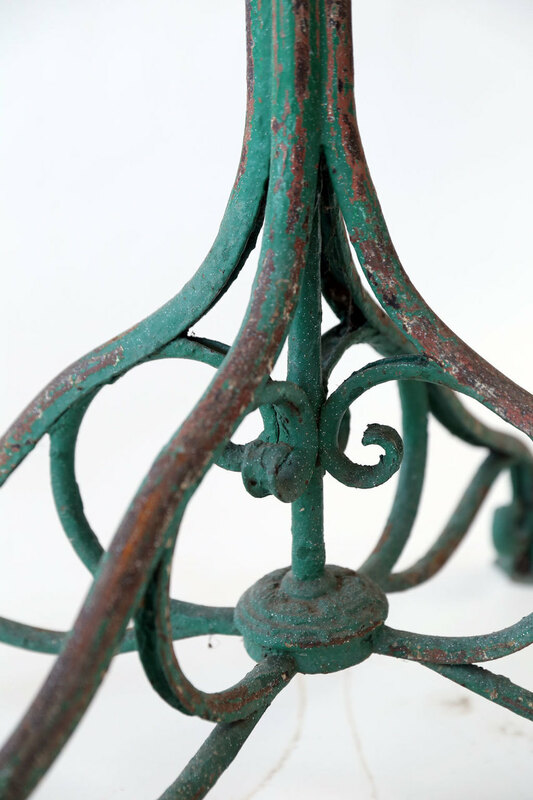 Finish includes remnants of original – and old – green, and white paint. 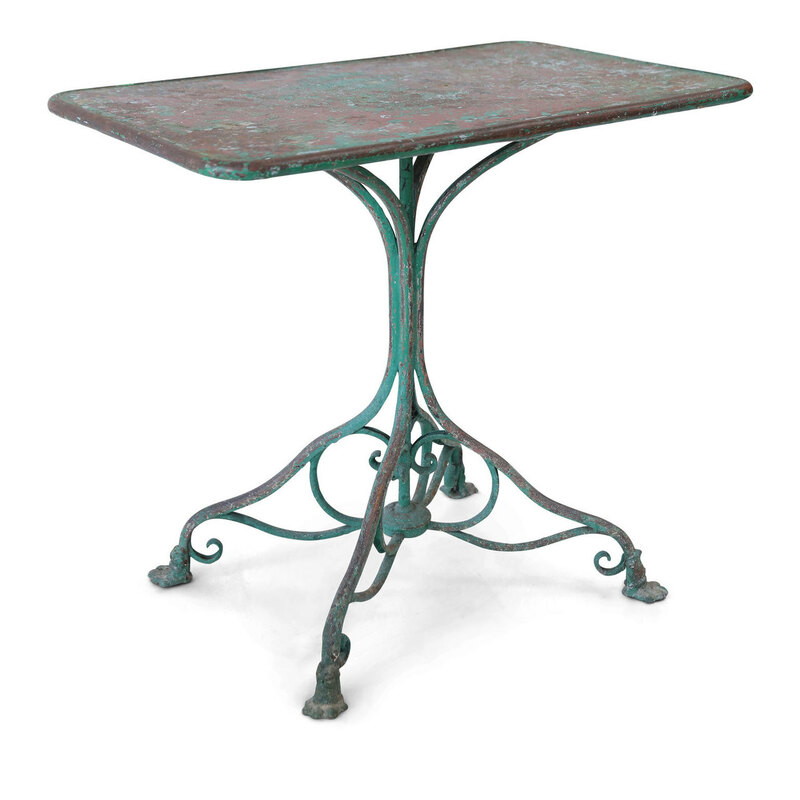 Condition: ExcellentWear consistent with age and use. 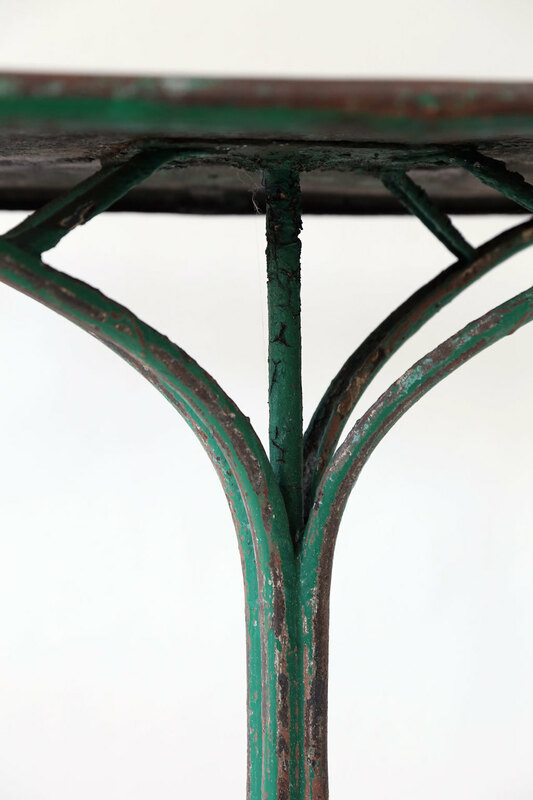 Remnants of old paint and patina.